Countless people turn to Eastern philosophy to learn how to let go of the things that are weighing them down: stress, sources of tension, unhappy relationships, difficult obligations, financial worries, arguments, and more. Our attachments to people, events, images, and things tend to cause us pain. We grieve when we lose a beloved family member, when we break a priceless family heirloom, when we fail to advance at work, when we have a falling out with a friend. So, how exactly can we “let go” of the things troubling us, and what does that mean? Imagine there’s a woman—maybe a friend or family member of yours— who really, really, really loves the movie Titanic. She watches it every week without fail, sometimes twice, and has ever since it first came out. So for the past twenty years or so, she’s watched the movie, sometimes with other people, usually by herself. That’s over 1040 viewings of the same film. She’s memorized all the dialogue, noticed every miniscule detail, analyzed every possible character motivation. Is that weird or extreme? Most of us probably can’t fathom watching the same film (or reading the same book, or doing the same crossword puzzle, or listening to the same album) with this kind of regularity. We like trying new things and grow bored with monotony. When I first heard about this woman (yes, she really exists), I wondered how she could possibly continue to find joy in re-watching a movie she had memorized. I asked what was wrong with her, why she didn’t want to branch out. I thought that this woman was nothing like me. But really, we’re not so different. In fact, most of us do the exact same thing. We may not watch Titanic at 3 pm every Tuesday afternoon— but how often do we replay the same negative messages over and over in our heads? How often do we cycle through our most painful memories or our worst fears and anxieties? Don’t we ever get bored? Wouldn’t we rather spend our time doing more enjoyable or productive things? Don’t we reach a point when we realize that it’s time to play a different film? In many ways, Buddhism is all about letting things go, helping us break away from negative thoughts and behaviors that do not serve us, as well as loosening the grip of all our attachments. Now what exactly does this mean? And how, practically speaking, do we accomplish non-attachment? Many people think it must mean physically letting go of tangible things; they often envision robed monks meditating on mountaintops, far removed from the chaos of city or village life and the concerns of everyday people. They think, I couldn’t possibly do that. I have a job, a family, responsibilities. This idea of letting things go is not for me. Leaving everything behind to live in solitary wilderness is only one possible way of interpreting non-attachment, however. Most of us are not called to live such lives, and we certainly don’t have to if we don’t want to. Instead, we can find ways to let things go while remaining in our regular lives. We do not need to give away all of our money (though donating to the less fortunate is a good thing to do). We do not need to sell our house, clothes, car, and other belongings (though we may benefit from downsizing somewhat). We do not need to march up to our bosses and hand in our notice, nor do we need to tell our professors that we’re dropping out of university (though we should cultivate a healthy work/life balance to the extent possible). We can continue to live in the physical world while achieving a mindset of non-attachment. I’ll talk first about our interpersonal attachments. into this? How can non-attachment possibly lead to stronger relationships? Let’s say you have a husband named George. You’ve been together for a decade. You love George very much, enjoy spending time with him, and hope to continue this relationship for as long as possible. One day, George picks up a new hobby—weight lifting—and suddenly he’s at the gym four days a week instead of sleeping in late with you. A few months later, maybe he changes his job or goes back to school. He might grow a beard, decide he would like to adopt a dog, or start playing guitar. Perhaps he simultaneously loses interest in some of his former hobbies. The George of today may look and act quite different from the George you married. Often, we struggle to adapt to the changes our loved ones make. You blame him for changing, feeling that some trick or bait-and-switch has been perpetrated against you. You resist any alterations in his habits or daily routine. You take his changes personally, worrying that he’s unhappy in the marriage and thinking of leaving. Consciously or not, you push back against his new behaviors and try to make him return to how he used to be. This is a common problem of attachment. In this hypothetical situation, you are attached to a static image of George that does not fully recognize his humanity, his ability to change and grow over the course of his lifetime. You “love” a past version of George, or perhaps an idealized version of him, rather than the George who is standing in front of you now. What can you do instead? You can let go of this rigid image and instead embrace George as he is now, in the present moment. At every moment, you can make the choice to love and accept George as he is. As you can see from the above example, this kind of mental non-attachment does not require giving up physical attachments (such as a cherished relationship). Rather, it involves a subtle shift in mindset that helps you appreciate the present reality of your relationship. If you can let go of ideas and images of how things should be, you can more fully enjoy the way things are. Practice: What Are Your Attachments? Reflect on the ideas and images in your mind to which you are attached. Identify your expectations about how the world should work and how you want you like to look. You can even grab a notebook and pen and write them down. • I want to find a happy relationship. • I want to do well at work. • I want to be fit and athletic. • I want to spend time with my friends and family. These are pretty common goals and expectations. Now, imagine all the ways in which these goals could go awry—even through no fault of your own. You might spend years looking for a lifelong partner and find only short-term relationships. Consequently, you will see all your shorter relationships as failures and begin to feel inadequate. You might be fired from your job and start to question how smart or competent you really are. Or you might despise your chosen career but feel trapped in it because changing careers would challenge your concept of yourself. You might sustain an injury and have to spend several frustrating months in physical therapy, painstakingly returning to the same level of fitness (or less) as before. And you will almost certainly lose some of your loved ones to accident or illness. In all likelihood, if you’re old enough to read this book, you’ve already experienced some degree of suffering relating to the areas described above. These aren’t particularly pleasant topics to consider! Yet it’s important to understand the root of our pain so we can learn how to alleviate it. In essence, the pain that arises from the above situations is due to excessive attachment. Attachment to what? To our own self-image, our images of others, and our expectations about life. The first step to letting go is coming to a greater awareness of your attachments. Identify your attachments and think about how they operate in your life. You can then evaluate if you would benefit from shifting your mindset to embrace things in your life in their present forms, even as they change. Over time, you may begin to appreciate the changes and cycles constantly occurring in the natural world, and accept the impermanence of every life form. How can you “join the dust of the world”? Once again, the answer circles back to meditation. Cultivating a habit of mindfulness is an excellent way of becoming more aware, both of yourself and of the world around you. As you meditate, you become an observer rather than a participant. What does this mean? Usually, we are of course active participants in our own lives. We do, feel, think, and say countless things. We’re the star of our own show. Meditation offers the chance to step back and observe ourselves instead. As you sit in silence with your breath, you will probably notice your mind beginning to wander. Perhaps you’ve heard a noise outside and are wondering what it is. Instead of letting your mind wander indefinitely on this tangent, you think, “Hearing…hearing…hearing…come back” and then return to your breath. Now your stomach is growling and you’re hungry. But instead of reaching for the nearest snack, you stay seated and think to yourself, “Feeling hungry…hungry…hungry… come back” and return to your breath. And now you’ve remembered a major project deadline that’s approaching: “Thinking…thinking… thinking…come back” and you’re back to your breath. When you notice your mind wandering, give yourself three counts to describe the nature of your action: are you thinking, feeling, wanting, or sensing something? Observe for three counts what you are doing by inserting it into your meditation. This practice transforms you from participant (“I’m hungry!! !”) to observer (“I notice that I am feeling hungry”). It gives you a step of remove from your thoughts and feelings in a way that gives you greater awareness of them. It allows you to acknowledge them without acting on them. So, when you are dealing with difficult moments in life (disappointment at work, the loss of a loved one), observe your feelings of sadness, grief, frustration, or anger. As you meditate, you will probably struggle to remain focused on your breath, but with practice, your thoughts will quiet down. You will then be able to sit with difficult emotions and thoughts in a peaceful frame of mind, without judging or evaluating them. Honing this practice is an important component of emotional regulation—you’ll nod and smile at your emotions as they emerge, but no matter how intense they are, they will not be able to control you. Think about how you might apply this out in the world. Imagine someone you thought was a friend betraying you. You give this person an incredible amount of power over you—the power to make you feel a certain way. In this brief moment, you’ve learned that it’s possible to feel something—strongly, deeply, passionately—but not to act rashly based on that feeling. It’s possible to observe the moment and make a conscious choice. As you grow in your mindfulness practice, you’ll find yourself becoming increasingly accepting of yourself, the present moment, the nature of the world, the connections among all beings, and the impermanence of all beings. You will observe your thoughts and emotions as they come and go with a spirit of non-judgment. In addition to traditional meditation, many people have great success with Dialectical Behavioral Therapy, a form of behavioral therapy developed by Marsha Linehan. It is an updated form of Cognitive Behavioral Therapy. While CBT is effective for some people, its emphasis on change is off-putting to others. DBT strives to find a balance between change and acceptance to help people develop healthier habits, learn how to accept hardship with equanimity, and find meaning and purpose in their lives. Now what does this have to do with Buddhism or Eastern philosophy? Well, one component of DBT is mindfulness training. 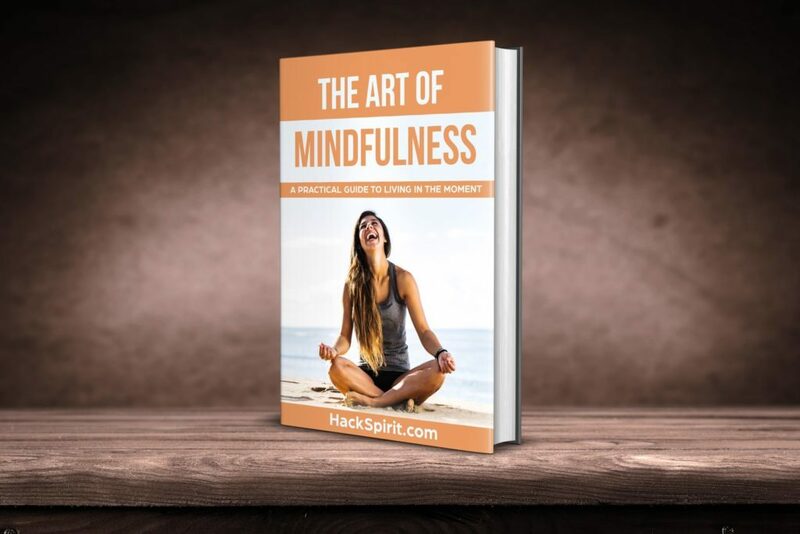 Linehan and countless other therapists find that their clients benefit considerably from mindfulness practice, which gives them greater awareness of themselves, the world, and their place in it. With a greater understanding of themselves, they are better able to regulate their emotions, rather than feeling totally consumed by them.